I hear variations of “How can I get more storage space on my MacBook Air?” and “I’m out of room on my MacBook Pro Retina” all the time. Until recently, all we could do was delete stuff from the SSD in order to free up space. Now, however, we can actually add storage space to our machines. There are two ways to do it. The slot is there so you can take the card out of a camera and stick it right into the laptop for transferring photos without a cable or card reader. Turns out almost nobody uses that slot, so it’s just sitting there doing nothing… until now. 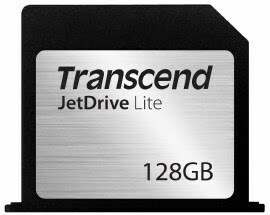 Transcend makes a product called the JetDrive Lite* in 64 GB, 128 GB, and 256 GB sizes and all you do is pop it into that unused slot, instantly increasing the storage capacity of the machine. It’s like having a USB drive permanently attached. The JetDrive Lite fits absolutely flush with your laptop rather than stick out a little, like a normal SD card would, and since the various Apple laptop models use different SDXC slots it is important to get the card that’s made specifically for your machine. Step 1 is to find out exactly which model you have. To do that, go to the Apple Menu, then About This Mac. Here’s how it looks on my MacBook Pro (non-Retina). The part that matters: MacBook Pro (13-inch, Mid 2012). You can read all about the JetDrive Lite at Transcend’s website. They have good info there to help you pick out the right model for your laptop. Figure out which model you need, then head to Amazon* to buy it. They have JetDrive Lites for MacBook Airs from 2010 to 2015, and MacBook Pro Retinas from 2012 TO 2015. That pretty much covers it! The JetDrive Lite is available at Amazon* in 64 GB, 128 GB, and 256 GB sizes. Note: the storage space provided by the JetDrive Lite is separate from the space on the original SSD. So, if you have a 256 GB SSD, and you add a 128 JetDrive Lite, you don’t end up with a 384 GB drive. Instead, you’ll have a second hard drive (128 GB) in addition to your original 256. Practically speaking, what this means is you have to find something that you can stash on the JetDrive Lite, such as your iTunes Music folder, and use it more or less exclusively for that. Thrill-seeking advanced users can back up their entire hard disks and then use Disk Utility to create a single partition from the combined internal disk and the JetDrive Lite, and then copy everything back, but this makes it impossible to use the SDXC slot for anything else because that card has to stay in if the machine is going to work properly. If you do it “my way” (put the iTunes Music folder onto the JetDrive Lite) you can still pull the card out and use the slot for importing pictures from a camera if you ever feel like doing that. The JetDrive comes in 240 GB, 480 GB, and 960 GB models, and as with the Lite cards you have to get the right one. Use Transcend’s website to figure out which one’s the right one for you, then head on over to Amazon* and get the part. Bonus: Transcend includes an enclosure for your old SSD, so you end up with the new, larger SSD inside the Mac and your old, smaller SSD in a case that you can use as an external hard disk. Nice. Note: long-time Mac upgrade supplier Other World Computing sells a line of SSD upgrades at prices comparable to Transcend’s JetDrive at Amazon. If Transcend doesn’t have an upgrade for your particular laptop Other World Computing might. Here’s a link to Other World Computing’s SSD page. 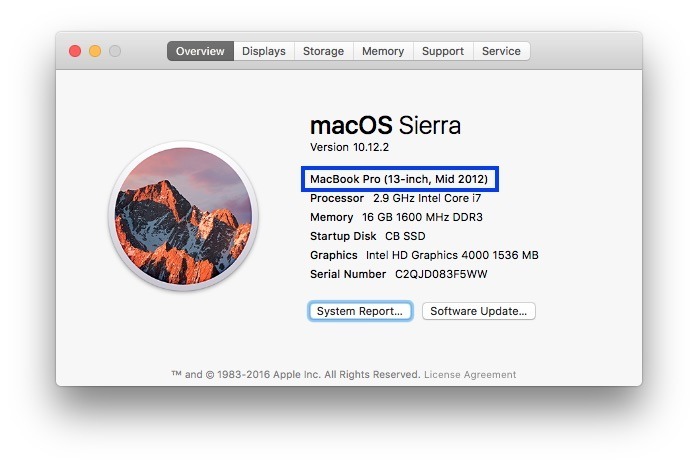 UPDATE June 2016: Other World Computing has an upgrade for the late 2013, 2014, and 2015 MacBook Pro with Retina Display. This is the first upgrade available for those machines. Note: While we’re discussing the MacBook Air and its SSD, it might interest you to know that some of Apple’s MacBook Air machines had a problem with their SSDs and Apple has recalled those machines for a free SSD swap-out. You can read about Apple’s “MacBook Air Flash Storage Drive Replacement Program” here. Still have questions? I’ll help you. Send me an email. Does the Sd jet drive work with Yosemite 10.10.4. I did a search for JetDrive Lite problems and I did find some threads about that. However, in my experience, I have not seen any problem at all with the JetDrive Lite mounting. I can’t test every combination of JetDrive/Mac model/macOS version though. Removing the jet drive, (you just Magic it out with the power of your mind like in the video), it’s actually quite difficult to remove, (I heard they are making these just to keep these machines running they are cheap as they are selling them near cost?) They are not flush and it still catches on things only if it does the card doesn’t break it yanks your macbook out of your hands and breaks that instead. But with magic you should be able to stop if from hitting the ground.